Elsternwick Wedding Car Hire – a stunning couple, an amazing venue! 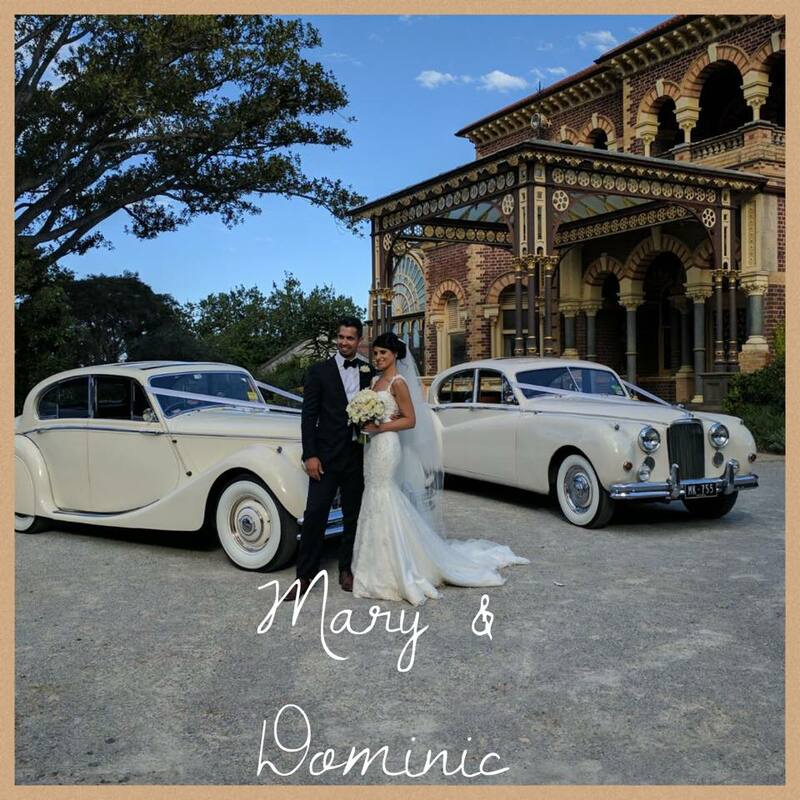 Here at JC Jags we were proud to be involved in Mary and Dominic’s beautiful wedding day at the iconic Ripponlea Estate in Elsternwick. The happy couple had the perfect weather to capture their big day in amazing photos like this one. And JC Jags’ classic cars also made for an impressive backdrop! Mary and Dominic really did travel in style. They chose the gorgeous, vintage Jaguar Mark 7, and it was the perfect complement to their elegant and stylish wedding day. First unveiled at the 1950 Motor Show, the sleek modern lines combined with the high level of Jaguar opulence meant the Jaguar Mark 7 has held its own in a sea of wedding cars, and to this day is still one of the most popular cars for bridal couples. When you hire your wedding car with JC Jags, you are not just getting a luxurious ride to the altar. You are also getting first class service. You’ll receive a chauffeured transfer from your designated starting point to the ceremony, and from there onto your reception. If you are looking for timeless elegance in a car for your big day, contact JC Jags today. We have all your Elsternwick Wedding Car Hire needs covered.